The beauty of a gin and tonic is that it is like a blank canvas just waiting to be turned into a beautiful and tasty painting. The possibilities are endless and gin and tonics love to be flavored with seasonal ingredients. So on this drizzly winter day in Southern California, I ventured out into my garden to pick some fresh kumquats, lit a fire and began experimenting with a bottle of Hendrick's gin, some Fever-Tree Elderflower tonic water, St. Germain, Grand Marnier, kumquats, star anise and a few splashes of orange and angostura bitters. The interesting thing about kumquats is that of all the varieties of citrus, it has the sweetest rind, but a puckery sour fruit, more like a lemon than an orange. In fact, you are supposed to eat the whole fruit, rind and all. 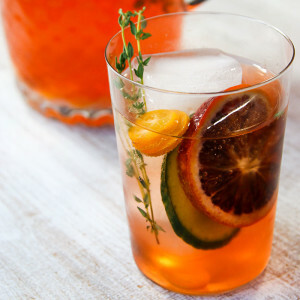 The contrast of the sweet rind and sour fruit is what makes kumquats work so well in a cocktail. I also use kumquats and gin in an unusual, but delicious Blood Orange Sangria. I love serving gin and tonics in oversized Pinot Noir or burgandy glasses. 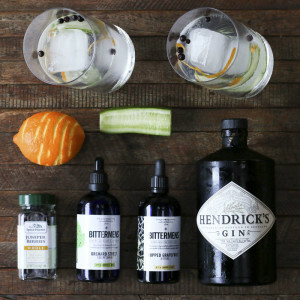 I learned this presentation while researching Spanish-style gin and tonics in Spain. 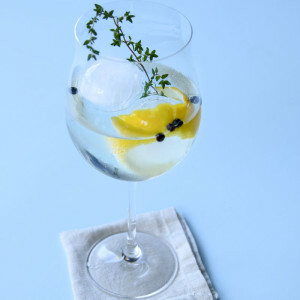 The Spaniards do gin and tonics better than anyone and these glasses allow for large spheres of ice that keep the drink cold, but minimize dilution, and allow a generous pour of good tonic water while leaving plenty of room for tasty garnishes. Kumquats come into season during the winter and this Kumquat Gin and Tonic is just the thing to add a little sunshine to a cold and stormy winter's day. Place two large ice spheres in an over-sized pinot noir glass. Add gin, St. Germain and Grand Marnier. Top with tonic water and garnish with kumquats, lime, star anise and thyme. Add orange and Angostura bitters to taste. 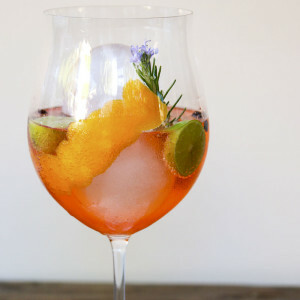 To fully bring out the flavor of the kumquat you can lightly muddle the kumquat slices in the glass or in a cocktail shaker before adding the remaining ingredients. I decided to look up a drink with gin and kumquats, since my tree’s fruit is ready. I couldn’t believe I found this recipe. I amazingly had all of the ingredients (except the thyme), even the Fever Tree Elderflower Tonic (so good!). This a vibrant and tasty drink. So fresh and beautiful. Not too sweet and definitely citrusy, but not bitter. I used Tanqueray Rangpur gin to enhance the citrus attributes. 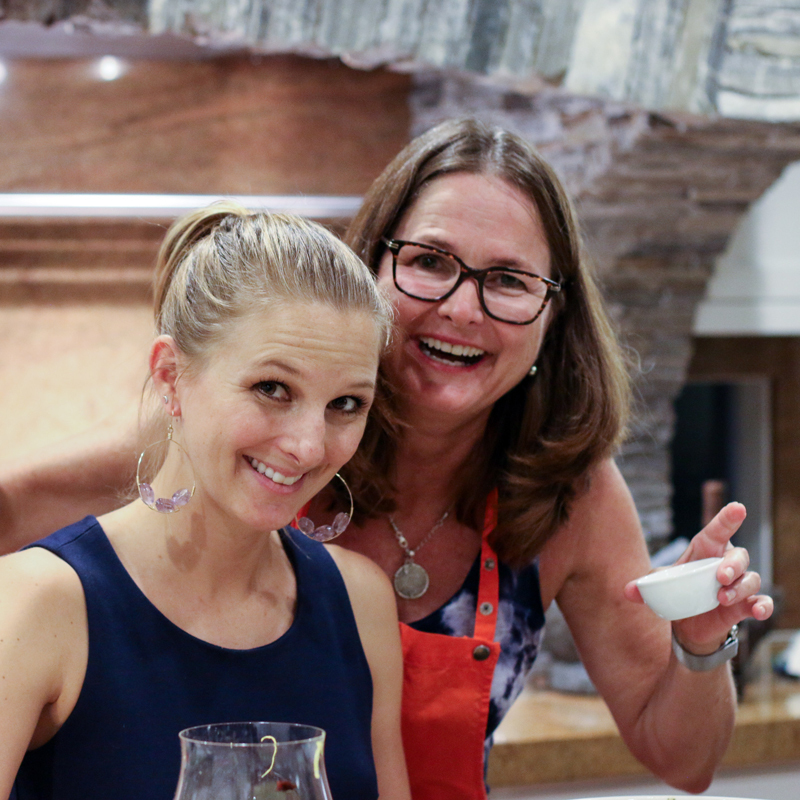 Hi Stacy, I am so glad you enjoyed the drink. I have loved kumquats since I was a kid and I love this adult use of them. Next on my to-do list is to develop a kumquat mojito. Check back soon! This was my favorite cocktail of the evening…not too sweet, and a citrusy punch. I think I put grapefruit bitters in mine as we were making our own in your lovely setting. Love that you can improvise and still have a fantastic drink with the basics. I’m done with plain ‘ole gin and tonics with lime.